Once again… FloBeds is out in front, leading an industry to comfort and safety… naturally! The Federal Standard came into force July of 2007. The new standard required mattresses and foundations to be able to withstand an open flame for 50 seconds on the side and 70 seconds on the top without igniting. 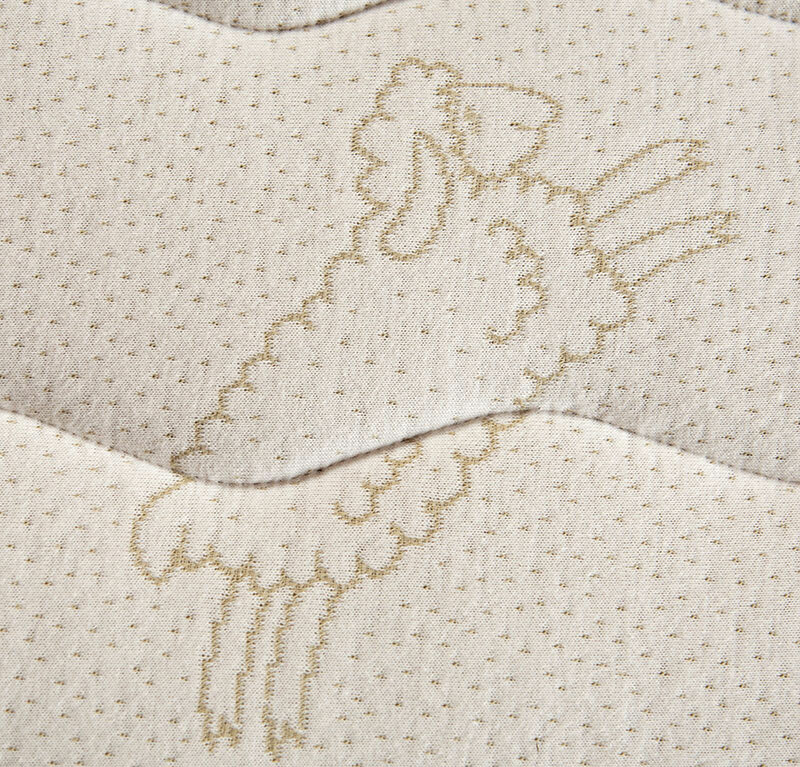 Most companies use FR chemicals or other artificial components to pass this test… FloBeds is proud to use only wool to make our mattresses meet this standard. 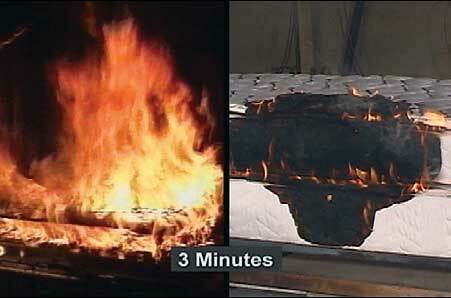 A conventional mattress is in flames in just a few minutes compared to a mattress that complies with the federal open-flame standard, on the right. 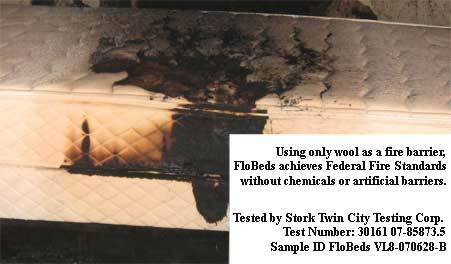 FloBeds passed the test using Wool as a fire barrier!